- 1 packing (in the packing of 12 inhalers). 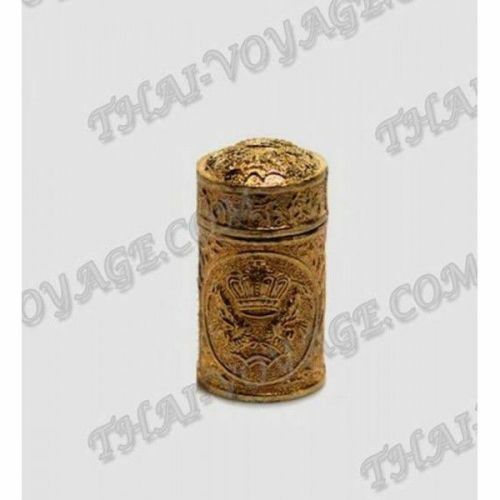 Traditional Thai inhaler in a metal box with herbs soaked in essential oils is very popular in Thailand natural remedy for motion sickness, headache and runny nose. 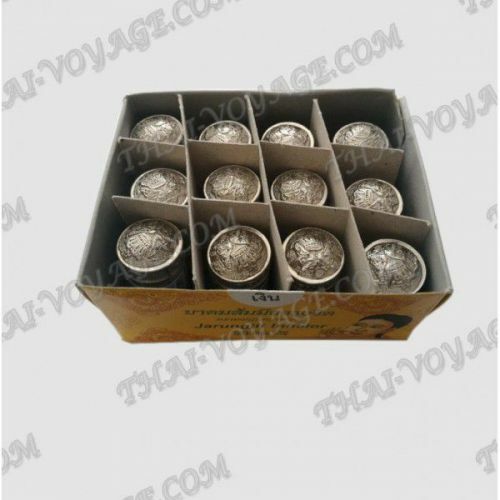 Thai inhaler is a beautiful silver jar "in a Buddhist style with a bag of herbs, seeds and roots, soaked in essential oils for personal inhalation. 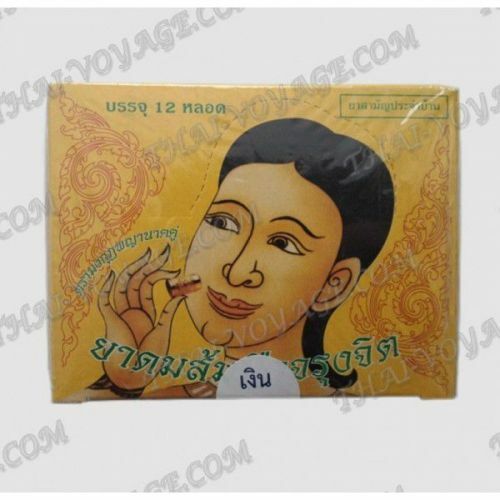 Thai herbal inhaler cure runny nose, cold and flu, your inhaler is indispensable, and during viral infections, especially for sickly people. Healing refreshing a couple of inhaler breathe in not only colds and the flu but with insomnia, headache, unconscious, lethargy and nervous overexcitation. After applying don't forget to close the lid of the inhaler – essential oils evaporate very quickly. Thai inhaler will fit in any hand-bag or pocket. 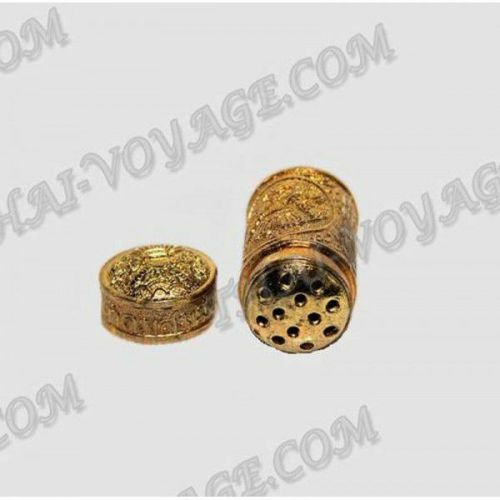 This inhaler will serve as a great gift souvenir from Thailand for relatives and friends.